Last week @ayabuns on Twitter bribed me with a picture to write an article about kendo. I am fairly easy to bribe. Therefore, today you are getting an article about kendo. But not just any article! We'll talk a little bit about the martial art and sport, then delve into the philosophy as well. 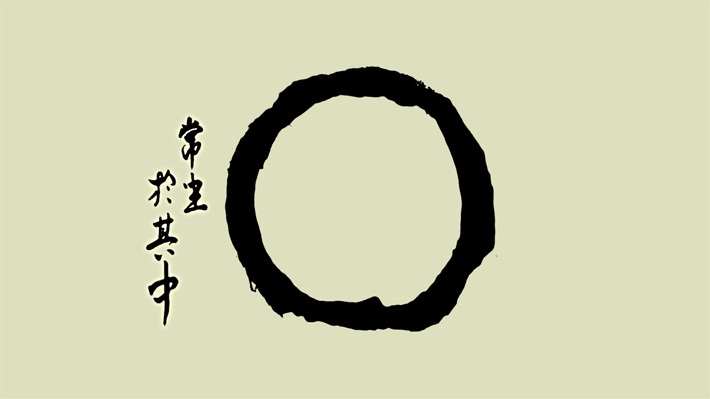 Fan of samurai, Zen Buddhism, and more? Kendo may be something that connects with you, then. Let's start by talking about what kendo is. 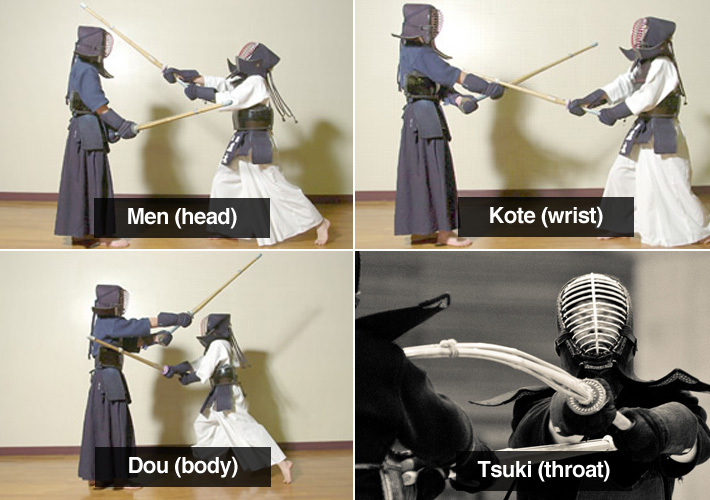 Kendo 剣道（けんど） (aka "way of the sword") is actually a fairly new martial art, in terms of how old martial arts get. It came from what was originally known as kenjutsu, which was developed in the Kamakura period (1185-1333) when samurai started showing up in bigger numbers. Because real swords were too fun to practice with, bogu (armor) and shinai (bamboo swords) were developed by the 1700s (fewer dead people, I guess). 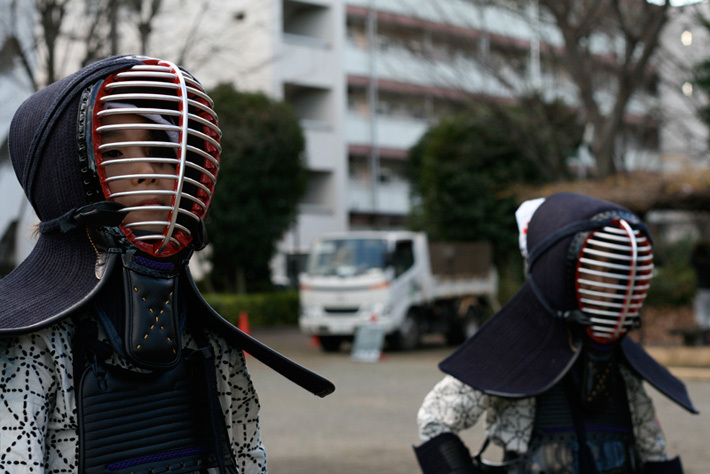 From here, we start to see modern kendo emerge. I don't want to talk too much about what kendo is since I want to jump into the meat of this article, but watch this documentary for a lot more info. It's actually pretty interesting, and I think a good introduction for people who have never seen kendo before. Okay. Got your kendo-learning fix? Let's find out what makes kendo so interesting to me. I've only been doing kendo for ~10 years now, and considering all the people in their 70s and 80s who have been doing kendo for their entire lives… my ten years is just a drop in the proverbial bucket. So, you'll have to take everything I say with an "I'm-a-total-newb" grain of salt here. My thoughts on kendo philosophy ten years from now may be totally different. And it's just like, my opinion, man. I also have a little bit of experience in other martial arts as well… another ten years in jujitsu, as well as a few more doing judo, giving me some ability to make some comparisons. Don't confuse anything I say with "this martial art is better than that martial art," though. Those conversations are really dumb. I will however talk about why kendo is something that fits really well with me, personally. It's had a huge effect on how I think about life, the universe, and everything (aka 42). In my experience with other martial arts, the main focus always seemed to be on learning more and more techniques. Maybe I was just going to the wrong dojos (perhaps this is American style?). I'm not sure. 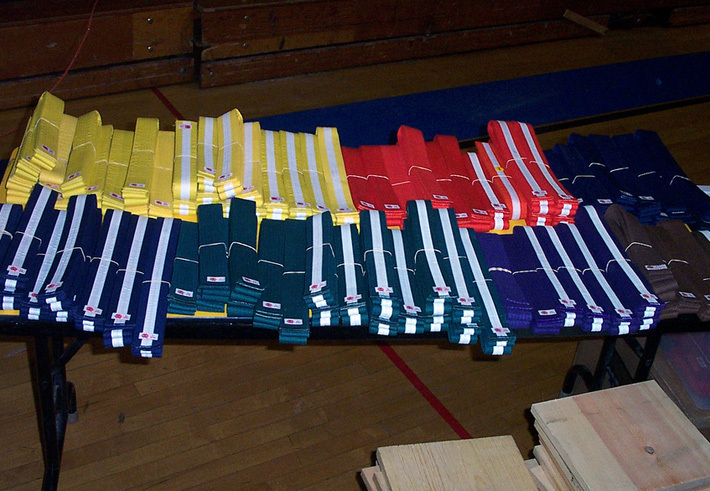 If you learn 100 techniques with a certain skill level, you get this colored belt. If you learn 200 techniques, you get some other belt. In kendo, you essentially get to do four techniques. That's it, and the last one (tsuki) isn't even something someone can try for a number of years. They are: men (head), kote (wrist), dou (body), and tsuki (throat). Images from web-japan and Nikopol_TO There are variations on these techniques, of course. For example, you could hit the other side of the dou… or you hit the kote as they're hitting your men… things like that. But, when you boil it down, it's still only four techniques… and this turns out to be plenty. Considering how hard it is to master any one of these, four seems to be enough for me. Real Life Application: Don't try to do everything. Just doing a few things well is difficult enough. Another thing that I love about kendo is that everyone pretty much looks the same. There is rank, for sure, but if you line a bunch of people up, there's no way to tell what someone's rank is without them telling you (or by guessing based on how used their equipment looks, but that doesn't always mean anything). I like this because it puts more focus on your actions and behavior. You can tell people apart by how good their kendo is, not by what rank they are. Real Life Application: Don't tell the world what your status is. If you're going to let people know, do it with your actions. When I think about some other martial arts, all I can think about is how complicated they get. The higher your rank, the more complicated all your techniques get. Purple belt? That means you get to spin twice before kicking the target. It's all about adding, adding, adding. It took me a while to realize this, but in kendo I think it's all about how much you can take away. I want to say that kyuudo and aikido are similar in this regard. When a beginner starts kendo, their swing is very complicated. They use all kinds of different muscles and make a lot of unnecessary movements. As you get better, you actually simplify your swing. You figure out how to turn off certain muscles. You make your movements more consistent. You don't swing through your targets as much. It's a lot like golf in terms of the consistency you need. You don't want to swing your golf club differently every time. You want it to be like clockwork. Same goes for kendo. The more you simplify in kendo, the better your kendo gets. One way to teach someone how to swing properly is to make them swing so many times that they have almost no strength left. When this happens, their body's only choice is to do the simplest swing possible. This usually ends up being a correct swing, because the simplest swing is the easiest swing. Real Life Application: Sometimes complicating things isn't the way to go. Even though it seems like a flashier, more complicated move would make you better at kendo, it's really the opposite that makes someone great. Simplicity is harder, sure, but taking the easy path is never the best path, ammirght? Despite being such a "simple" martial art, simplicity isn't an easy thing to achieve. In fact, simplicity is one of the hardest things in the world to do right. Because of this, I think, kendo is crazy difficult. Even when you're "good" at kendo, you still have a long ways to go. Always. People who have been doing kendo for thirty years are still thinking about all the things they need to improve on and change. The dude in this video is such a boss. And what he says is so true, too. Fifty years learning the basics seems about right, too. It depends on what dojo you end up going to, but a lot of places make you do a lot of work before even letting you touch a shinai (that's the bamboo sword). Then, you have to swing without a partner for even longer. This is part "can you make it?" and part "get a good basics foundation." It's interesting seeing people who grew up doing kendo in Japan versus doing kendo in America because of the discrepancy in fundamentals practice. The Japanese kenshi (people who do kendo) are almost always way better. Why? It's because they spent years and years working on basics, whereas us Americans tend to be a bit more impatient. Eventually, this catches up to you and you and you can no longer catch up with everyone else. 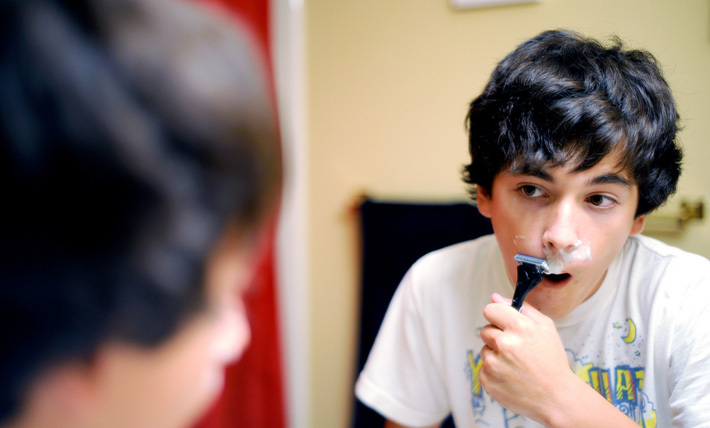 Real Life Application: Don't skimp on your basics. They will carry you through everything in life. As you practice your basics (your body), you start noticing the mind games that begin developing. If your mind breaks, your body breaks as well and you die. If you can't predict what your opponent is going to do, you die. If you can't keep focus, you die. So much of kendo is about your mental abilities. When your body can do the basics of kendo pretty well, this becomes the thing that differentiates people who are "okay" and people who are actually good. The "mind game" aspect is definitely one of my favorite things about kendo, though. Once you start noticing this, every single drill, match, and exercise begins to rotate around this concept too. Everything is an opportunity to make your mind stronger. In fact, a strong mind means that you're able to push your body further, which makes your body stronger too. If you don't have mind, you can never develop body. Every practice you have to reach the point where you think "I can't do this anymore." Once you do, you have to keep doing it. That's 100% mind, right there. When you push yourself like this, everything gets stronger. If you don't push yourself, you'll always stay the same, or at least progress at a much slower rate. Can I last a few more seconds? Can I stay focused longer than my opponent? Can I break my opponent's will before he/she breaks mine? This is why short Japanese girls beat me up all the time. I have bigger and more manly muscles (maybe), but they're sharp as tacks. Mind > Body, though both work together quite well. Real Life Application: You have to train your brain as much as you train your body. Do you have trouble focusing? Push yourself to focus just a little bit more every time. Eventually, you too will have the focus of a short Japanese girl. All it takes is practice. Sure, it'll be uncomfortable, but that's the whole point, right? Do you know what the hardest test in Japan is? Is it becoming a lawyer? Pshhhh. That's EZPZ. No, it's the kendo 8th dan test, which has a less than 1% pass rate. The above documentary is one of my favorite videos to watch – it's about the people who are trying to achieve this rank. But, it's more than that, too. It's so inspirational to see all these people trying again and again to pass the test. Why keep taking the test even though they keep failing? Because kendo is life, and failure is a part of that. Real Life Application: Sometimes you fail. In fact, most times you fail. But, you have to keep trying and trying to achieve those dreams. Kendo's definitely a way of life, I think. That's why so many people do kendo until they die. Once you go kendo, it'll never end-oh? 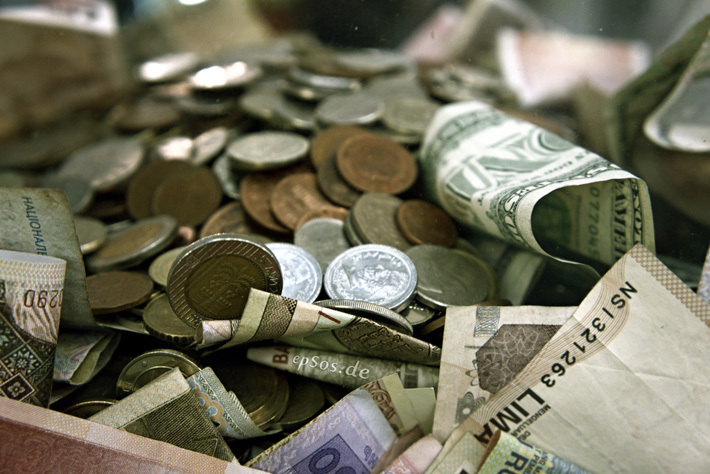 A lot of martial arts dojos enjoy making lots of moneys (I guess to fill their mats?). In general, practicing kendo is very cheap. There are exceptions, I'm sure, but most of the time you just pay some dues for the facility you're practicing in (for me, that's $20/month) and then buy your own equipment (which lasts a long time, usually). The sensei don't get paid for their time and they teach kendo because they love kendo. I think the whole money issue gives kendo a very different feeling – at least that's my experience. People are there because they care. Sometimes that means they care about improving their kendo. Other times it's that they care about improving your kendo. Often times it's both. Whatever it is, it's a great environment to practice in because everyone wants to be there. Real Life Application: You shouldn't do everything for money. Focus on improving yourself, and surround yourself with like-minded people. What is perfection? I have no idea. Will I ever be able to do perfect kendo? Definitely not. So, why do I keep doing kendo? I have no idea. For some reason, though, the thought that my kendo will never be perfect is awesome. It means there's always something to improve on. Mostly, it means I'll never be bored. When you finish a video game, you're done. When you finish eating your dinner, you're also done. 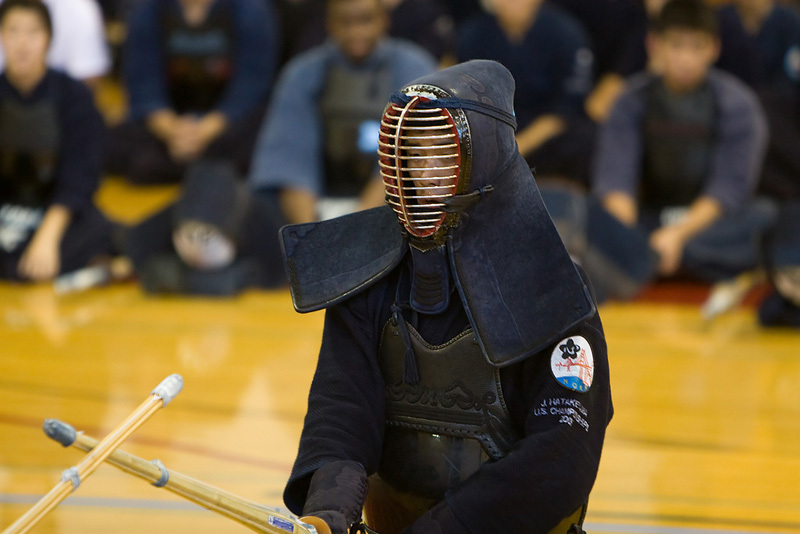 When you finish kendo… you're probably just dead (or you quit). Probably not the most pleasant sounding thing in the world, but to me that's a bit comforting. If you don't make it a part of your life, then what's the point of doing it, right? That impossible to reach perfection makes that possible. Real Life Application: If you're passionate about what you do, you'll never be able to make it perfect. You can either let that drive you insane, or you can let that drive you for your entire life. This is what people call "purpose." If you get one, you'll feel a lot happier. Actually, no, probably not. I've seen a lot of beginner classes come and go at multiple dojos, and one thing is always consistent… almost everyone quits. If one person sticks it out for more than a year, then you're lucky. I think a lot of this is because of the reasons stated above. it's too simple, it's too mentally draining, and it's not what people expect. It takes so much focus and time. It just comes down to how much you're willing to put in. Hey, it's understandable – time is finite, and you have to use it in the way you think is right.